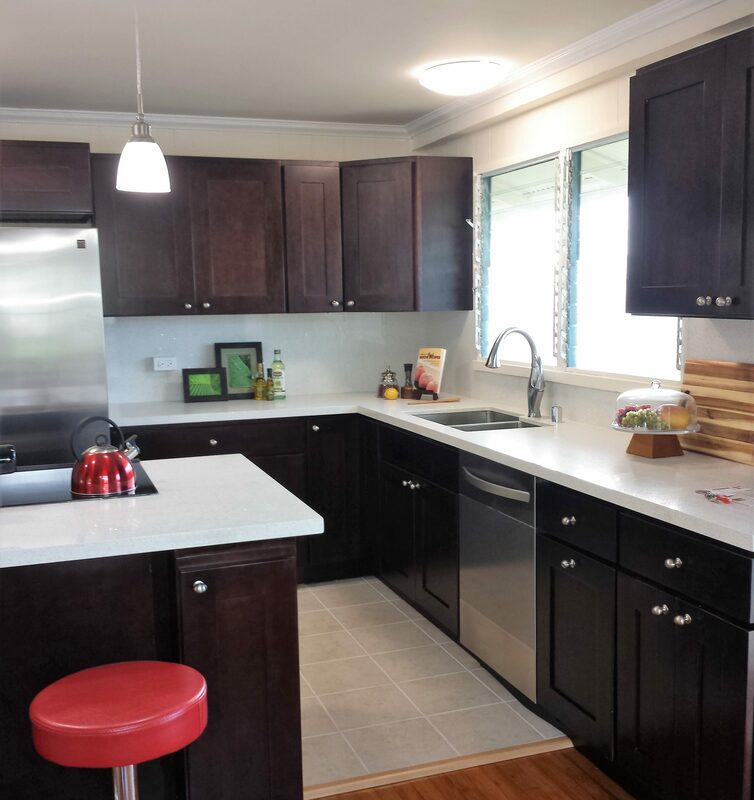 Our most recent commercial project was for Liquid Life in Keaau. We were able to help Ola and Puna, a newly married couple, start their new life together in a brick and mortar location for their new business which offers healthy foods, juices and smoothies. Visit their website for more information on their menu offerings or stop in and treat yourself. We were able to help this church replace their roof, making it safer for their congregation. The I-beams used as supports for the roofing were rusted. The roofing was showing years of wear with leaks and decaying sections. After getting custom I-beams made locally, we were able to install them with minimal impact to the interior finishes. At the request of the church, we also removed the cupola and saved the bell to be relocated elsewhere for the congregation. The area below will be used for a spa. The owner wanted to install a 6′ jet tub for use by her clients as part of their therapy. We started with a makeshift shower with exposed plumbing. We installed the tub with a flexible slate veneer surround and skirt. At this vacation rental, the owner previously had an unsightly chain link fence that he wanted removed. We installed steel cable rail fencing surrounding the pool with a custom portion at the far end of the pool. The roof on this warehouse was removed and replaced for an upgraded look. We added a separate bathroom building for a popular business. This carport was added on to the business to provide additional cover and space for the employees.